was difficult to find because only traces exist naturally on earth. because it was the first man-made element to be found. discarded from Ernest Lawrence’s cyclotron in Berkeley. 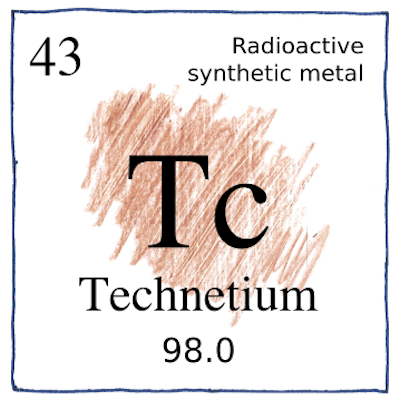 particularly isotopes technetium-95m and technetium-97. widely used today for medical diagnostics. but in this case with a half-life of six hours. Many other scientists thought that they had found element 43; however, their work was not reproducable, mainly because, at least for most of them, they had found something else.